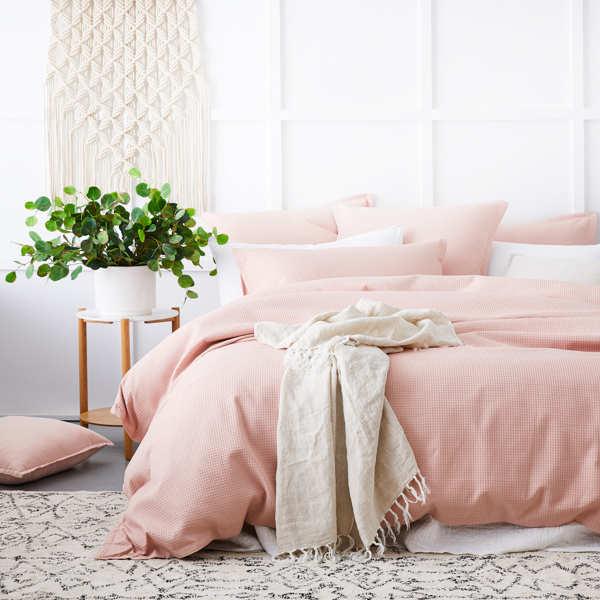 Pink is the pretty new palette that is winning affections in homewares and we’re head over heels for all things in soft blush tones because, although we may be inevitably heading into the colder months, that doesn’t mean our homes have to plunge into darkness with us. A relaxing, peaceful colour, it makes the perfect partnership with shades of grey, while a pale blush champagne can complement metallic highlights and contrasts perfectly against a white wall. This heavenly hue isn’t just for the ladies, in fact, pair it with black or charcoals and it can pack a powerful punch. But perhaps the best part of this colour crush is that it looks elegant, sophisticated and simply timeless paired with other neutrals. Don’t want to take the plunge with statement furniture? Add pops of colour with tableware or an artwork. Some sweet accessories for on the coffee table, a new print for on the wall or some new cushions for on the bed can add an elegant touch to a room. Check out our mood board for looks that might just make you blush.